Please pay attention to the following topics. How big are the plants you send? 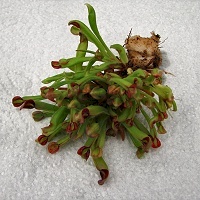 As we send live plants, their size is affected by the time of the year and by the available stock. You may receive either seedlings or mature plants ready to bloom. 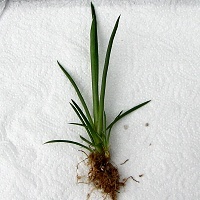 We mainly send plants of a a medium size, which you would then have to grow to their adult size. 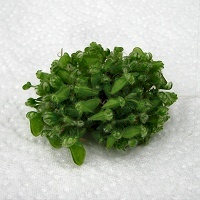 If the available stock plants are small, we provide more plants for each portion ordered. 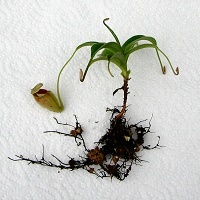 Depending on the time of year ordered, some plants may be entering or in dormancy. 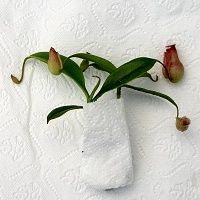 In this case, you will receive the dormant plant complete with roots or tubers. 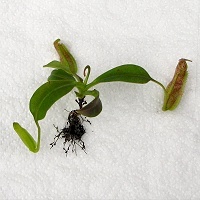 We always package and send the plants such that we are sure they will root and grow to your full satisfaction. Estimated size and amount of plants per portion is listed alongside every item in the catalogue. Are the plants pictured in the photos in the e-shop the plants I’m going to receive? 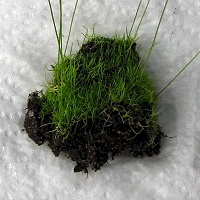 I would like to have a photo of the actual plant from your offer, and than I’ll decide if I want to buy it. 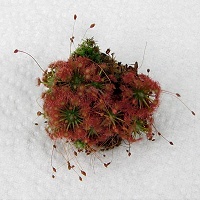 Actual photos of each species, form and cultivar are pictured in our e-shop enabling you to see the item offered for sale. However, differences in colour shade and intensity may occur due to differences in lighting and photo editing procedures. There are some exceptions where we have posted an illustrative photo or a photo of very similar form. We are are in the process of updating these photos with ones of the actual plants. 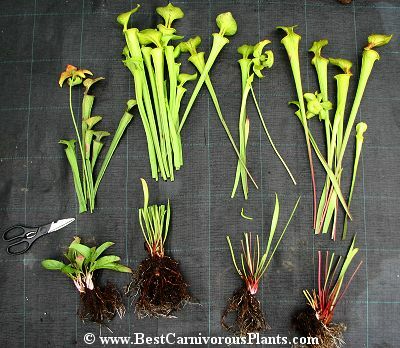 If you are unsure how the species should look in different stages of growing, or would like to verify our photos from other sources, we recommend the following websites: Carnivorous Plant Photo Finder or e.g. Google. We tried to choose photos of representative of each species. 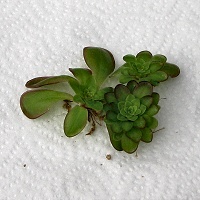 This is the how the plants look after few years of growing in good conditions and with good care. A lot of these pictures have were taken from our personal collections. Due to time restraints, we can not provide photos of individual plants for each order. 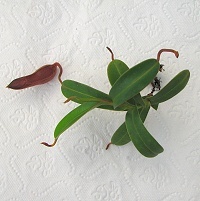 Very rarely, a parcel is delayed or plants are damaged in transit. If this occurs, please contact us within three days of the date you receive the package. Send us a photo and a description of damaged plants and we will work with you to find an amicable solution. We also strive to replace orders even if the delay was not caused by us. However, we reserve the right to ask you send the old plants back and that the new delivery would be at your cost. Unfortunately, we can not address claims after three days of receipt of the package at your end (e.g. we can not replace plants improperly grown by yourself). 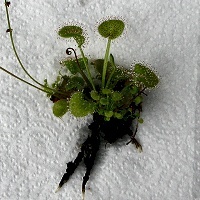 While carnivorous plants are easy to grow, they do require you to know their specific growing conditions. 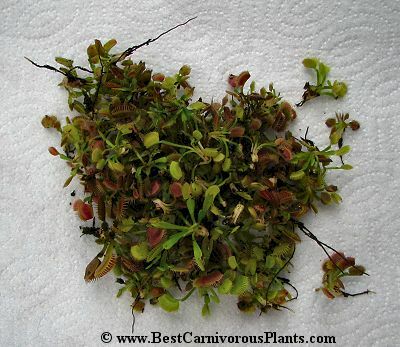 Can I ask you some specific questions on growing carnviorous plants, or can you recommend an appropriate plant for me? Of course you can. However, realize that this would slow down the processing of your order. We try to spend most of our time growing and distributing plants. We provide advice in our free time, so it’s possible that you may wait several weeks for a reply, especially during the growing season. 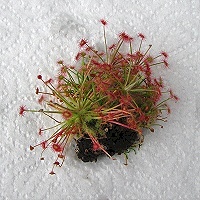 If you are a real beginner, we recommend you to first look at the following website: The Carnivorous Plant FAQ. This contains a lot of useful information for beginners. Otherwise, we would be happy to answer any of your questions regarding growing or purchasing plants. Please, look at the following. These pictures show how the plants you’ve ordered may look before and during the packing of a parcel. 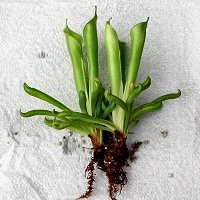 We have to remove the traps from some of the bigger plants like Sarracenia. Don’t be worried as they will survive without any problem and it will help them to acclimatize more easily. 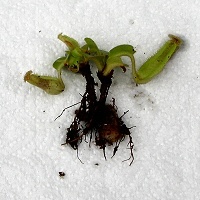 Collections of seedlings of Dionaea muscipula are usually sold in the summer season. Plants are delivered without substrate, because of the phyto-quarantine restrictions and also because it makes for safer transportation. 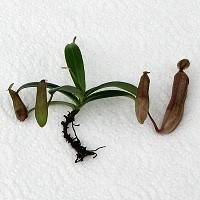 Here you can see other species of carnivorous plants, ready to be sent. Their size is given by the species they belong to, their age, and also by the growing season. This picture shows how the plants look packed and ready to be placed into a box. 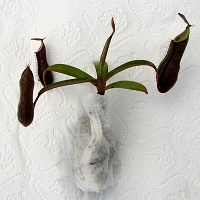 Plants are wrapped in wet paper towels (or in sphagnum) and placed into tagged plastic bags. 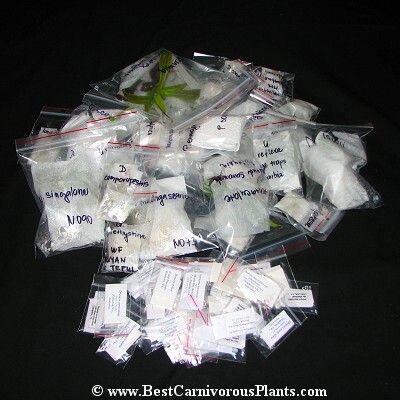 Seeds are packed into a paper scrolls and tagged plastic bags. 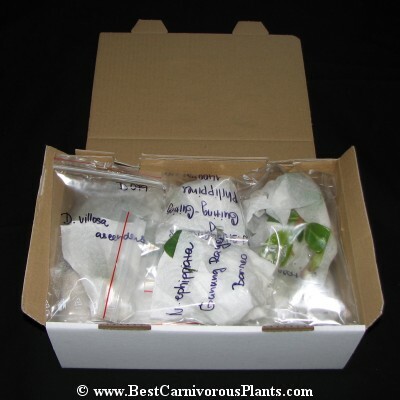 Fully packed parcel with your plants, ready to be send via mail. It takes usually from 5 to 10 days to be delivered from the moment we send it. Plants will survive this delivery time without any problem. Just don’t forget to prepare all necessary things for growing your plants once you receive them, like plant pots, appropriate substrate and a location to grown them (e.g. terrarium).